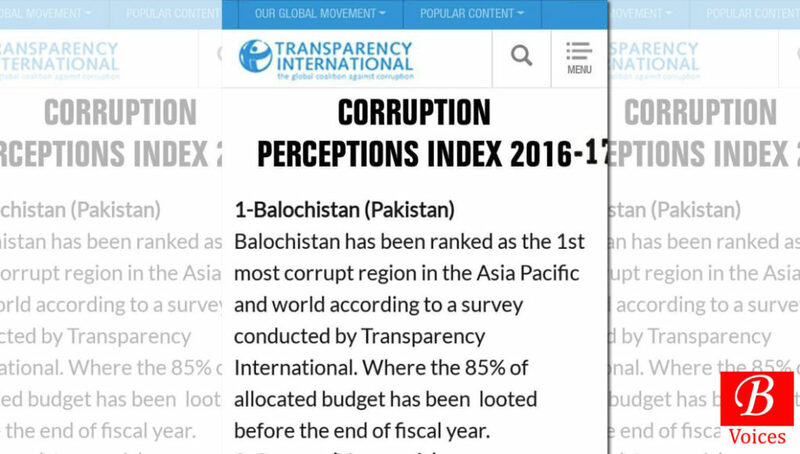 Quetta: A screenshot of Corruption Perceptions Index 2016-17 of Transparency International, which is making rounds on social media, terms Balochistan as the most corrupt region in the world, is fake. 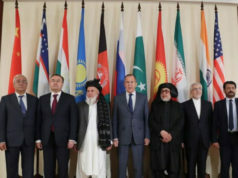 Balochistan has been ranked as the 1st most corrupt region in the Asia Pacific and world according to a survey conducted by Transparency International. Where the 85% of the allocated budget has been looted before the end of Fiscal year. The investigation of Balochistan Voices found this shared screenshot to be fake. There is no mention of Balochistan on the Corruption Perceptions Index 2016 on the official website of Transparency International. Published on 25th January 2017 this list only contains countries. Pakistan is 116th least corrupt country in the world out of 176 countries ranked. 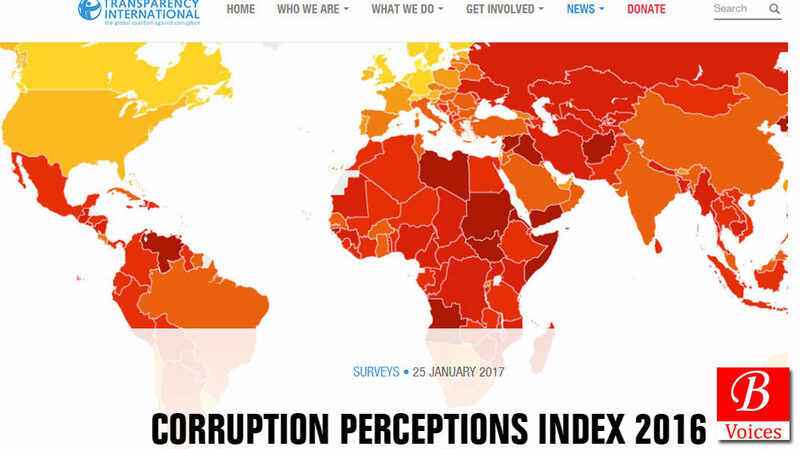 According to the list, Denmark is the least corrupt and Somalia is the most corrupt country in the world. There are some other obvious mistakes in the shared screenshot which the unsuspecting social media users in Balochistan ignored. Firstly, it compares Balochistan with Caracas, where former is a province and latter is a city. Secondly, there are basic-level grammar mistakes in the message which can’t be found in a genuine Transparency international report. 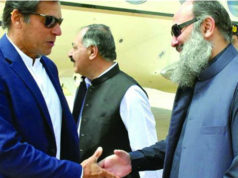 Thirdly, the message says that survey has proved that 85% budget of Balochistan has been looted, which is again work because no survey of Transparency International can measure the amount of funds looted anywhere in the world. A lot of social media users shared and forwarded this fake message without any verification. This points to the unhealthy social media usage habits of the users which promotes fake news sharing.